It’s hard to take someone seriously when he or she tells you their phone takes better photos than your point-and-shoot. 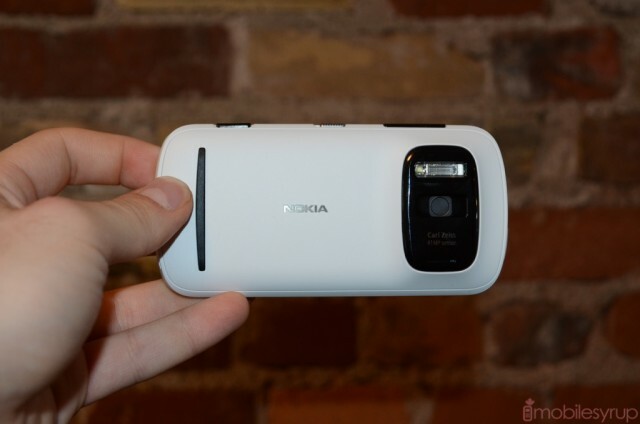 In the case of Nokia’s PureView 808, however, it is most likely true. Capable of taking shots at 38MP, its 41MP sensor is the biggest ever seen on a smartphone. 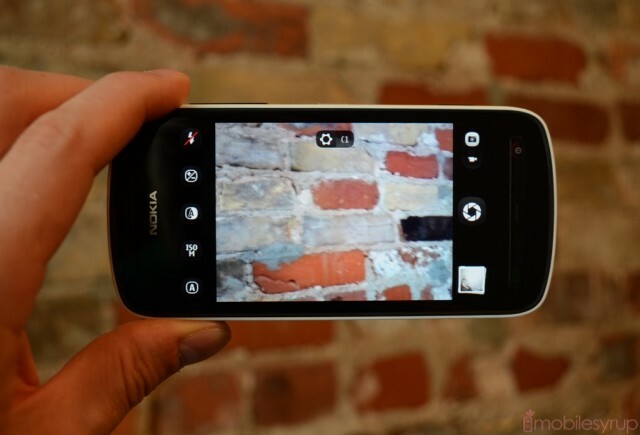 The technology has been worked on quietly for the past five years — which is the reason Nokia launched it on Symbian and not Windows Phone — and could have lasting and important implications for the future of photography. As the number of people replacing dedicated cameras with smartphone equivalents increases — or rather, the number of people satisfied with the quality of photos from their smartphones — the imaging industry is in for a bit of a shake-up. The iPhone 4S is already the number one “camera” on Flickr, and the gap is widening between Digital SLRs, the “professionals’ choice,” and point-and-shoots. The smartphone is filling in the gap. 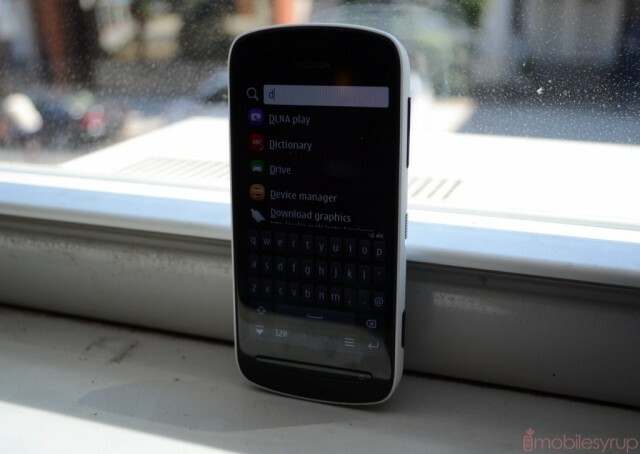 Nokia’s PureView 808 is not being released in Canada, and as such will not be available from any carrier. You can, of course, purchase this Symbian Belle-powered pentaband handset from places like Negri Electronics and Expansys, but the prices are exorbitant and the demand is likely very low. Nevertheless, it was a tantalizing prospect for me to try out, courtesy of Nokia Canada, in order to test out just how much better this 41MP camera, which combines 7 pixels into 1 for sharp photos at 3, 5 or 8MP. The compression algorithms are pretty astounding here, showing off not only an unprecedented amount of clarity, but an understanding for how consumers want to use their phones. You want to be able to share a small 3MP or 5MP photo, under 1MB ideally, and maintain every bit of the clarity as the 38MP original. 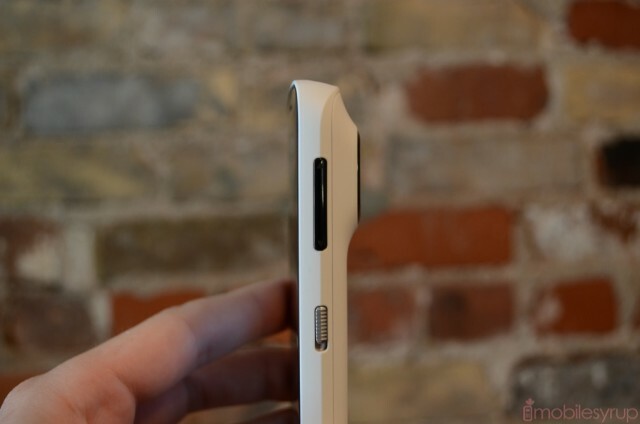 By and large, the PureView 808 is a camera with a few smartphone bits attached. There is no doubt that at one time Symbian was the, ahem, belle of the ball, but even with Symbian Belle, which improves performance and aesthetics considerably from its Anna predecessor, there isn’t a lot of praise I can heap on it. The phone’s resolution, 640×360, is stuck in 2008, while the dearth of apps available to download from the Nokia Store, as well as the clunky way the operating system deals with notifications, mail accounts and, heaven forbid, cloud syncing, makes the entire experience is just a mess. 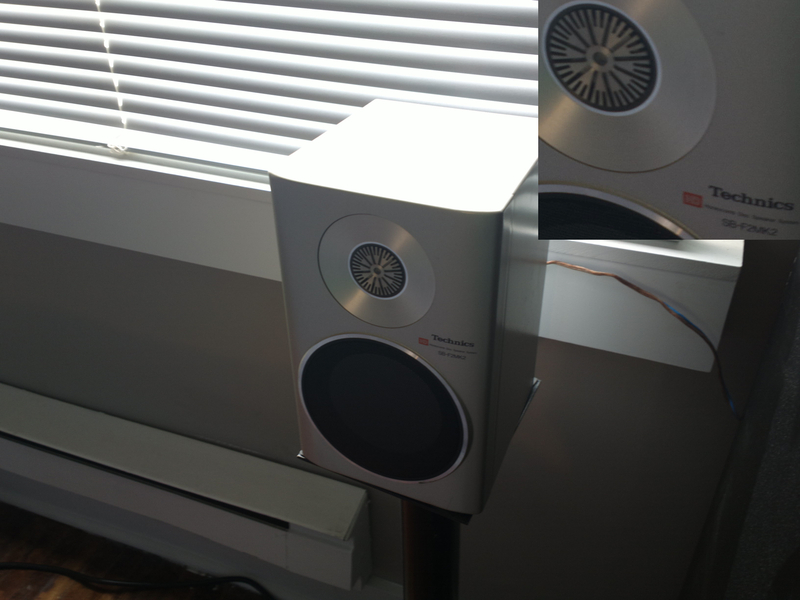 Though there is a 1Ghz processor inside the thing, it opens and runs apps like molasses. That being said, the lovely rounded iconography, smooth home screen scrolling (with independent wallpapers, natch) and nice use of fonts makes the outcome a little bit more pleasant. 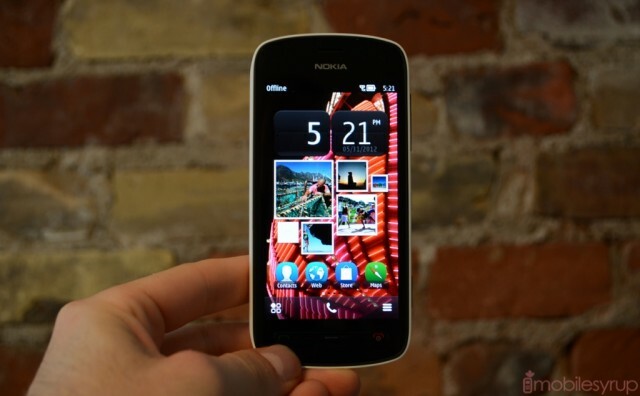 The phone itself is made of a thicker, slightly courser form of the polycarbonate used in the Lumia 800 and 900, and it feels great in the hand. Granted, it’s top-heavy like no other smartphone but it’s excused on account of its enormous camera sensor. In addition to the f2.4 aperture lens and massive sensor, the phone is equipped, like the N8 before it, with a Xenon flash that does wonders for dark spaces. However, when a flash is not appropriate, the camera still takes some of the best low-light photos I’ve seen from a phone. Due to the sheer amount of detail being taken in through the sensor, and interpolated down to a reasonably sized photo, you can ascertain elements of a scene — at a bar or an outdoor shot at night — that would never be possible on a Galaxy S III or iPhone 4S. 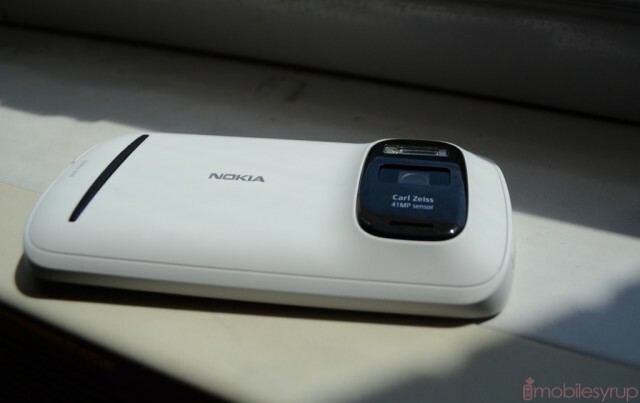 Nokia boasts lossless digital zoom at up to 3x, something that is just not feasible on any other phone. That means you can crop a significant portion of your photo without worrying about pixelation, artifacts or dreaded artificial sharpening remnants ruining the original photo. In practice these are all very real and very accurate claims. The camera interface is powerful: you can customize basically anything you’d dream of, including ISO, exposure, autofocus, flash settings and more. You also have the ability to take photos in full 34/38MP mode (depending on 4:3 or 16:9 aspect ratio) or use PureView mode which captures at high resolutions but compresses the photo to 3, 5 or 8MP without losing any of that valuable data. 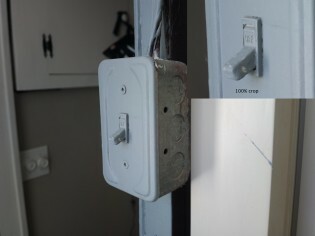 PureView 808 is also capable of capturing 1080p video at 30fps at 4x digital zoom with no appreciable loss in quality. That’s essentially like having a 4x optical zoom without the distortion. Pretty crazy results. You can see from the above photo that macro mode is extremely powerful on this device, and that even at 100% crop you can see even the most minute amount of detail. I was also keenly aware of how well it interpreted depth of field, something that many high-end smartphones can’t really achieve. 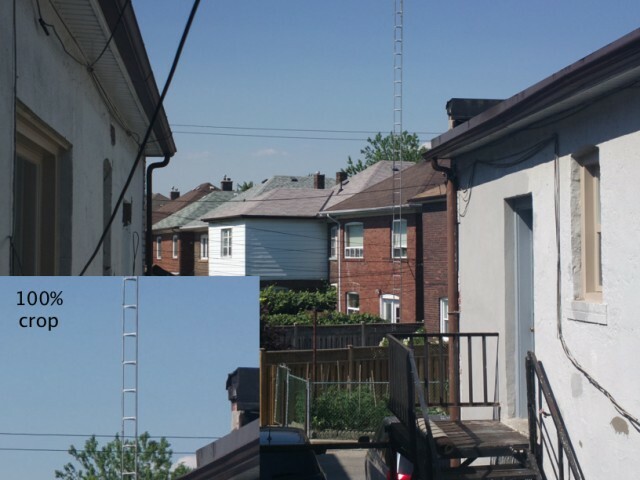 In the above photo you can see just how clear the is the blue sky, without a hint of distortion or artifacts. In fact, shots taken in scenes with plenty of natural light are comparable to many digital SLRs (in my opinion). The camera takes one a few milliseconds to focus, and can be enabled when the phone is locked by holding down the excellent camera shutter button. There were times when I did have trouble focusing on a particular macro object. 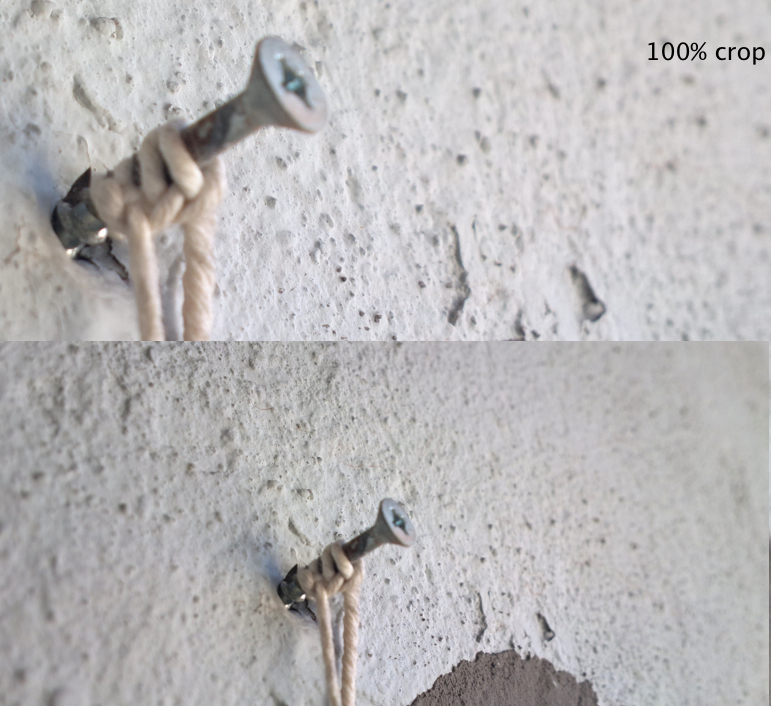 As you can see from the above shot, the lens wanted to focus on the stucco behind the nail, and while it did so with a aplomb, and a close DoF, it wasn’t able to lock onto the object I really wanted to get at. Either way, the amount of detail picked up on the wall is just astounding. Note that these photos were taken at 8MP PureView mode, not the full 41MP. Lastly you can see just how well the PureView 808 picks up details in low light situations with only the slightest amount of artifacting. In fact, compared to other high-end smartphones, I would say that the PureView is free of artifacts, though there are some to be perceived if you look closely. The PureView 808 isn’t going to win any awards for design or software — it’s hefty, clunky and kind of a brick — but it is certainly exciting for what it foreshadows. The next few years will be fought over iterative hardware jumps — quad-core, DDR3, HD — but imaging is an area ripe for innovation. We’ve already seen the beginning of such a revolution with burst mode on the HTC One series and Galaxy S III, and we’re looking forward to what Microsoft comes up with in the next version of Windows Phone. 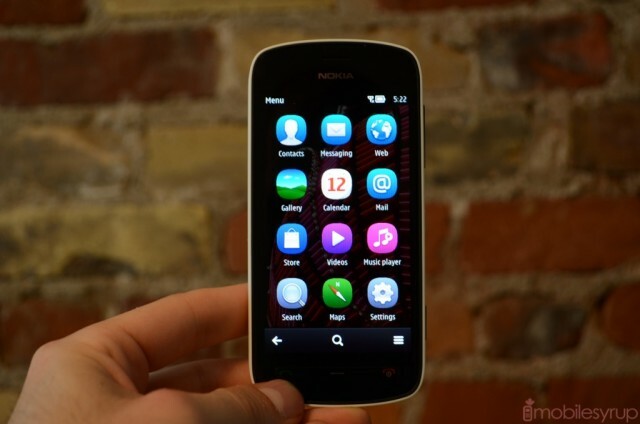 Nokia, which just bought Scalado, is going to have a lot of influence over that next link in the smartphone chain. PureView is a technology that we’ve been promised will come to Windows Phone sooner than later, and judging by what I see in the PureView 808, it’s one of the most exciting promises we’ve heard in a while. 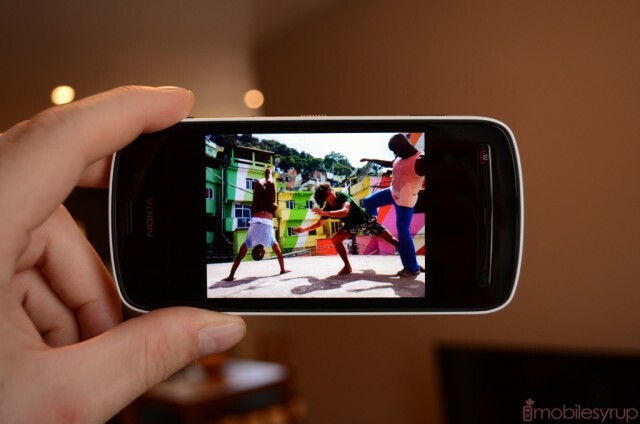 To learn more about Nokia’s PureView 808, head on over to the PureView portal.